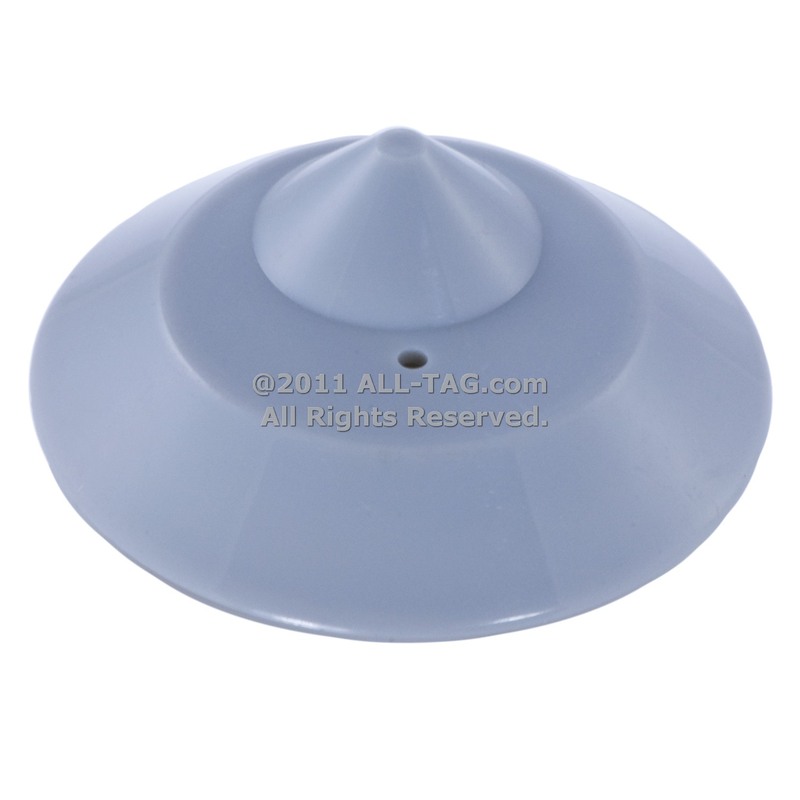 We have a large quantity of these large, round security tags that are compatible with Checkpoint brand 1.8 MHz Electronic Article Surveillance (EAS) security systems. These tags are also compatible with any standard magnetic security tag detacher (remover). All of the tags we are offering at an extremely low price are gray.